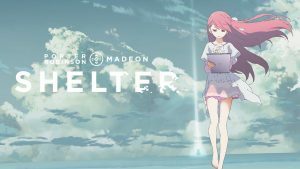 From being a fan of Porter Robinson, I try my best to keep track of any and all news relating to him, especially now that he collaborated with Madeon on their sensational song “Shelter”. When the artists announced their Shelter Live Tour, I instantly had to get tickets for me and a friend of mine so he could witness a once-in-a-lifetime performance. After securing my ticket, I thought it could not possibly get any more spectacular than this. However, as a couple of months went by, I was looking over the internet and saw something truly amazing. A new music video for “Shelter” had just been released on Porter Robinson’s YouTube channel and it was trending on Twitter. After witnessing this, I quickly went on to his channel and watched this piece of art. To explain a little bit of the production that went into this video, the animation was done by A-1 Pictures, who were known already for being successful anime producers in Japan. While A-1 was handling the visual art portion of this short film, Porter had wrote out the original story for it. This joint-production between A-1, Crunchyroll and Porter had helped produce an inspiring film. For the description of what the film is about, you can click the title on this video to visit it’s YouTube page, but if not you can still watch it fully on here! Truly Porter Robinson and Madeon produced a beautiful track, and now with the music video out, it has been upgraded to a breathtaking music video. Personally I want to thank everyone on the production for creating this work of art, both musically and visually. For everyone else who is viewing this, please support all the people behind the “Shelter” creation and please make sure to share this around to your friends!